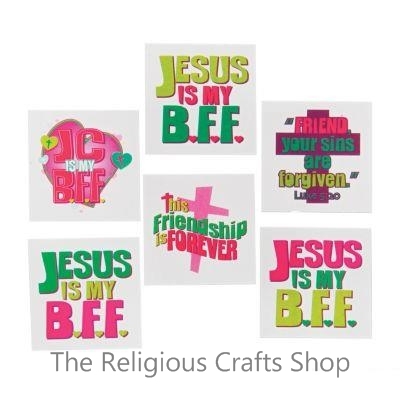 Pack of 12 Christian Tattoos - Ideal for fundraising and festivals. These tattoos are bright and fun to wear. Tattoos measure approximately 4cm by 3cm. Easy to apply and remove.